If you do not have an account, please Sign Up and proceed to Login once the account is verified. Go to NTUC Plus! page. Click on the button “Connect to Plus!”. Wait for a pop-up to appear. 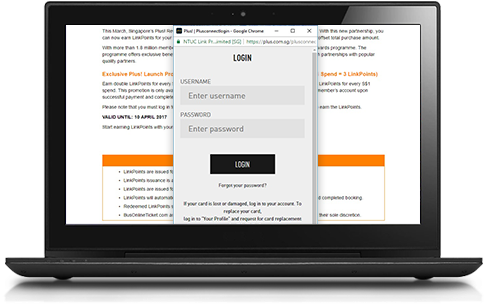 Then, Login to your Plus! account. Step 3 – Connected to Plus! Once you successfully Log In to your Plus! 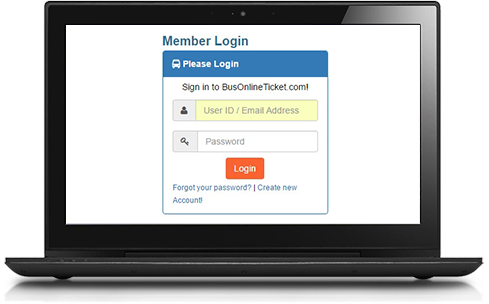 account, you can now earn points and rewards by booking your tickets with BusOnlineTicket.com. In payment page, you will have an option to redeem your LinkPoints. Choose how much you want to redeem and click Redeem. 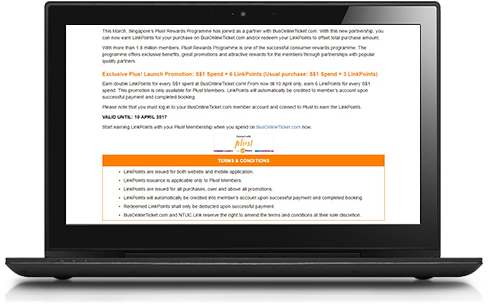 Upon a successful payment, your LinkPoints will automatically be deducted from your Plus! account and the system will issue an Award for your purchase. -You are only allowed to redeem one; either LinkPoints or BOT Miles in one transaction. 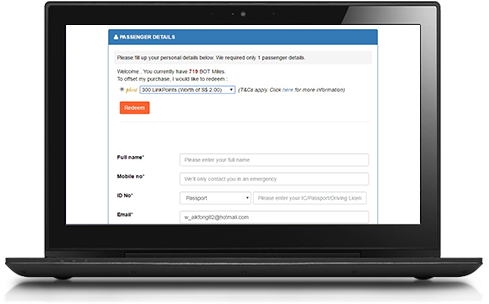 -BusOnlineTicket.com cannot notify you on LinkPoints deduction and the Award.